Who is Alarme Phone Sahara? 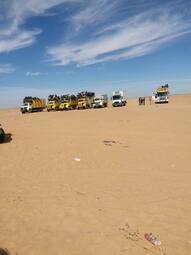 Alarme Phone Sahara (APS) is a cooperation project between associations, groups and individuals in the Sahel-Saharan region and Europe with the aim to defend the lives and the freedom of movement of migrants and refugees against repressive and often deadly migration policies. The members of the Alarme Phone Sahara network are based in Niger, Mali, Burkina Faso, Togo, Morocco, Germany and Austria. Alarme Phone Sahara's office is located in Agadez, Niger, which is a crossroads of migration in the Sahelo-Saharan zone. There is also a network of whistleblowers in the region that works in collaboration with the Agadez office. Raising awareness - for what purpose? 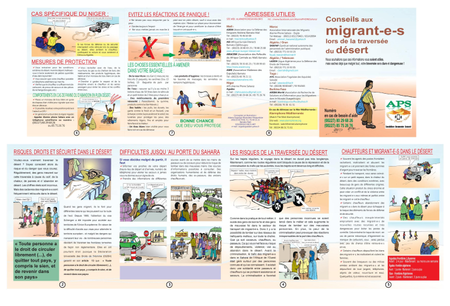 The IOM (International Organisation of Migration) is presently organising an "awareness raising caravan" through different cities of Niger (from Niamey to Tahoua, Agadez, Arlit and others) to "raise awareness of the risks of irregular migration and its alternatives". But what are actually the aims the IOM pursues? "In Niger, the UE counts on local police to track down migrants"
A report in French on mediapart.fr on the installation of biometric tools as part of "Midas" - the system of information and analysis on data concerning migration - at border checkpoints of Niger republic. "Midas" is financed by the EU in collaboration with Japan and set up by the IOM - creator and owner of the Midas system - together with Eucap Sahel, the "civil security" mission of the EU in the Sahel countries. Besides people blocked in transit in Niger or pushed back from Algeria, there is a rising number of refugees in Agadez/Niger who have applied for asylum in Niger republic and who are living in camps run by UNHCR or by NGOs collaborating with UNHCR. Most of them are Sudanese from Darfur region. 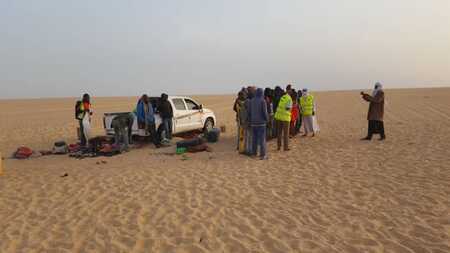 Death in the cold at the Moroccan-Algerian border! At least 8 migrants died in the border region between Algeria and Morocco between December 2018 and 5th of February 2019. Migrants band refugees pushed back from Algeria to the desert in the border region between Algeria and Niger republic, near the border town of Assamakah. "We ask again and again UNHR about our case, but no solution."